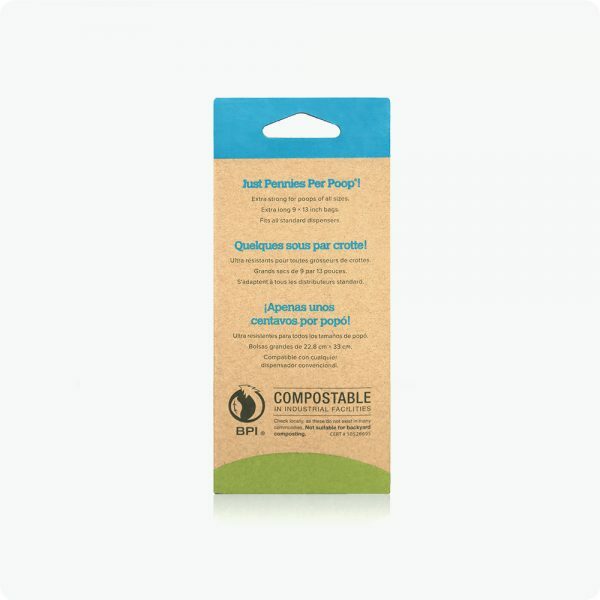 Earth Rated® compostable bags meet the ASTM D6400 guidelines, are BPI-approved and are an excellent alternative to the green-colored bags. These vegetable-based unscented bags could be disposed of in a municipal compost environment, where pet waste is accepted. They are bigger, thicker, tougher and totally leak-proof! 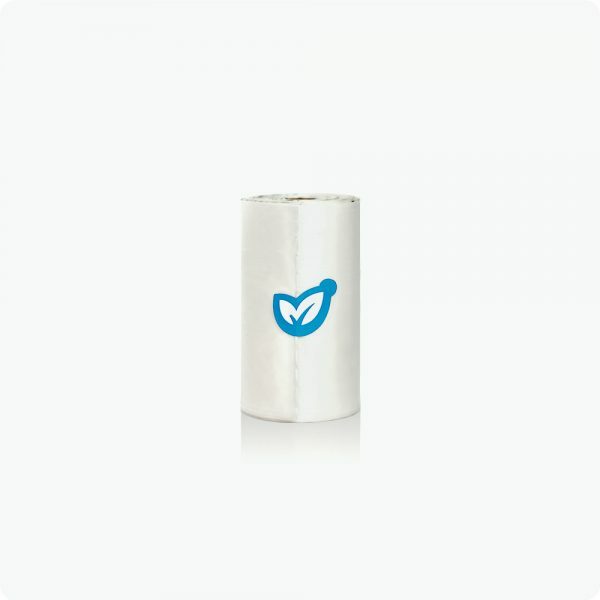 This refill pack includes 4 rolls of 15 unscented bags that fit into most standard-sized leash dispensers. 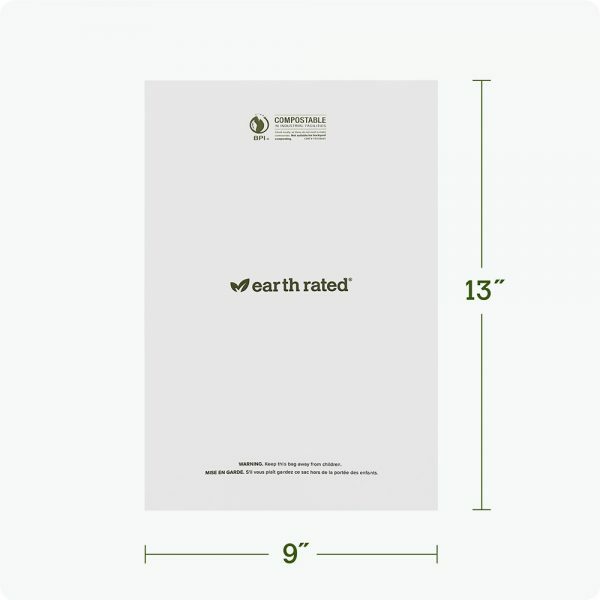 Earth Rated products are the industry leader in terms of quality and most of all, affordability. 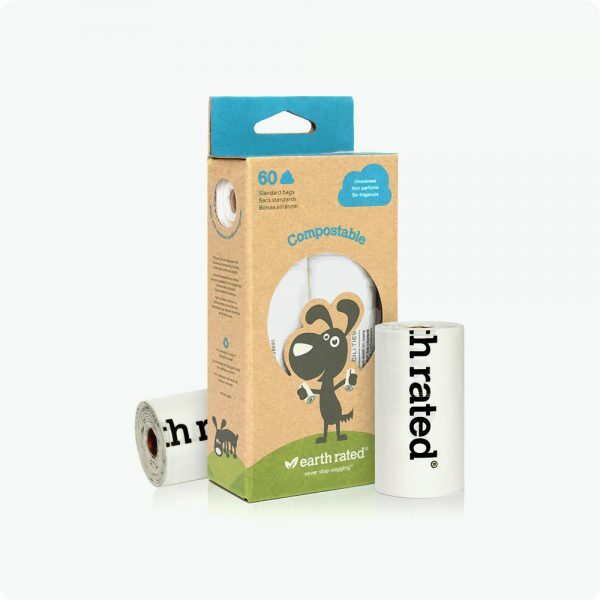 At Earth Rated®, we don't leave out the littlest of details - even our rolls’ cores and packaging are made from recycled content!